For many women, a difficult choice must be made whether to carry on with their careers at the expense of family, or to leave and raise a family at the expense of their careers. The truth is that the market has not regarded women kindly after they left to raise children. But because of the efforts of one woman attorney, it appears that there's more hope for women attorneys wishing to get back into the game. Stacy, an attorney (and all around wonder woman judging by her Linkedin), began a program several years ago intended to help female lawyers who'd previously gone off to invest time in their families, putting their career advancement on hold in the meantime. Her program is already showing success. Forty-two women have gone through her program and approximately 86 percent of them have been offered permanent jobs at their respective firms. And at a starting salary of $110,000 to $125,000, it's probably welcome news to the attorneys, too. The program is known as OnRamp Fellowship and has plans to move into placing female attorneys who have been out of practice into in-house counsel positions and is also working with the well-known ACC. The companies that have signed on include Amazon, Microsoft, and the Bank of Montreal. 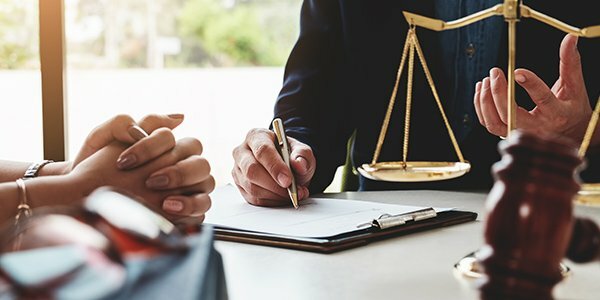 It's a tremendous help to a demographic of attorneys who face an even steeper climb in the battle to find stable employment. "For most of these women, no one was even giving them an interview," said Ms. Ulrich Stacy. "This got their foot in the door to demonstrate their value." Not just anyone can get into the fellowship, however. According to The Wall Street Journal, the entire process requires vetting by the OnRamp team as well as having to go through a battery of tests. To give readers an idea of the kind of women who have made use of OnRamp, here are some numbers to consider. The average attorney in the program took 9.6 years off from her career and has about 10 years of experience. About two-thirds of that group left the profession to take care of children while the rest left for a personal interest reason or to pursue business, or because of medical reasons.